All Gleneden Beach homes currently listed for sale in Gleneden Beach as of 04/19/2019 are shown below. You can change the search criteria at any time by pressing the 'Change Search' button below. If you have any questions or you would like more information about any Gleneden Beach homes for sale or other Gleneden Beach real estate, please contact us and one of our knowledgeable Gleneden Beach REALTORS® would be pleased to assist you. 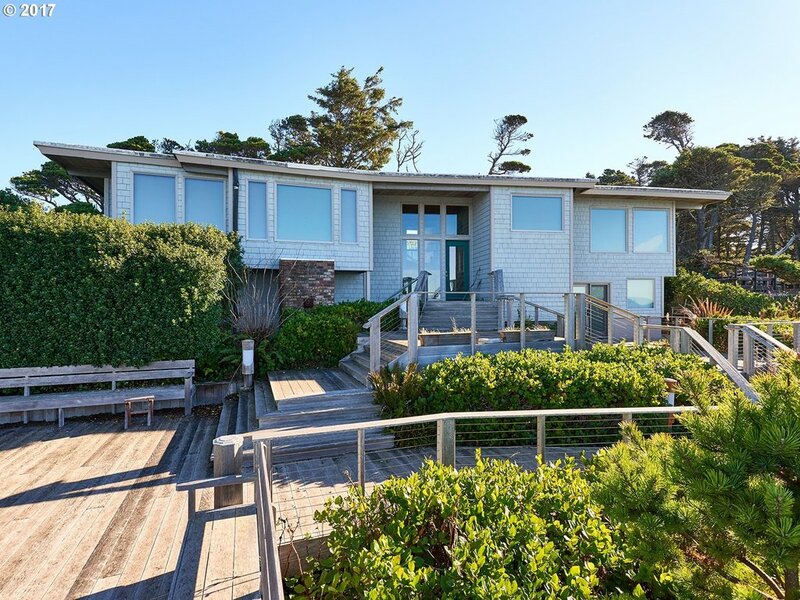 "Ocean Front contemporary with beautiful interior in Salishan on the Oregon Coast. Architecturally designed with a focus on indoor/out door living spaces, combining nature & craftsmanship w/pole staircase & use of exotic woods displayed in this exquisite home. Enjoy the ocean front deck with sliding doors protecting from the coastal winds while warming at the outdoor fire pit. Direct beach access from property." "Remarkable home, well situated for privacy and peeks of Ocean and Bay views. Two master bedrooms on main, open living room to kitchen w/bar area and ease of access to deck make this home great for entertaining. Downstairs features full theater setting, pool, shuffle board and poker table. This custom home's features are endless - see attached documents." "Majestic sunsets, ocean, surf and bay views! This spacious 4 bedroom/3.5 bathroom has 3,791 Sq Ft to take in the sights and sounds. Perched over-looking the 14th green in the beautiful gated community of Salishan! Large ocean view living room, dining room and open concept kitchen. Beautifully landscaped yard and a three car garage." "Rare opportunity to live in luxury in historic Salishan. Gated community with unique unobstructed views of the bay and ocean for amazing storm watching. Beach access! Beautiful home, updated recently & move-in ready. Furnished with Ethan Allen. Take advantage of all amenities of living in this desirable area of the Oregon Coast. Nearby golf course, historic Salishan Lodge, private community pool and recreation facilities." 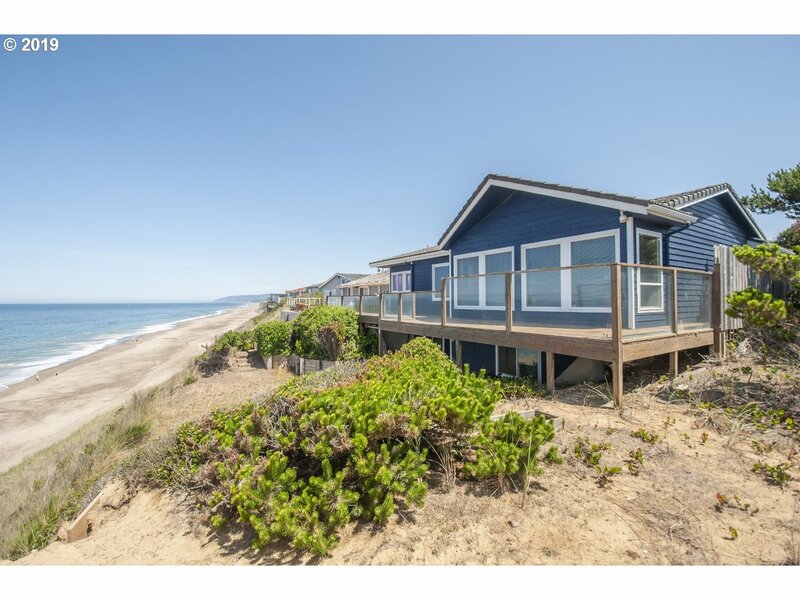 "The view will take your breath away!This oceanfront home offers one of Salishan's most spectacular views.The lot sits high above the spit, yet offers a sense of privacy too.Open living areas take advantage of views throughout. Remodeled in 2015 with a new kit & bathrooms it is sleek and swank with a contemporary flair. Lots of wood, slate, cork, tile and stainless appliances too. Fabulous huge deck with 180 degree oceanfront view!" "Stunning location and views are yours at this updated John Storrs designed Salishan oceanfront home that was built when owners had the pick of all lots! 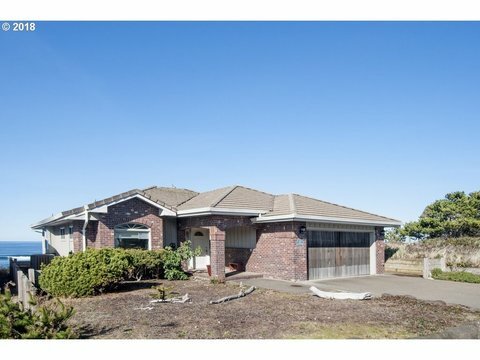 Enjoy views of the ocean, beach, Salishan spit, Siletz Bay, and even the golf course from this warm inviting fully furnished home featuring lots of warm wood finishes including a live edge eating bar. Kitchen and baths have been updated with new solid surface countertops, tile and SS ap"
"Beautiful ocean views from this 1.05 acres containing 3 ocean view lots and a 2 Bedroom, 1 Bath home. Lots and home can be purchased separately or as one. Owner will consider offers between $789,000 and $898,876 for the house and two lots (one north and one south of the home)." "Wildlife Paradise! 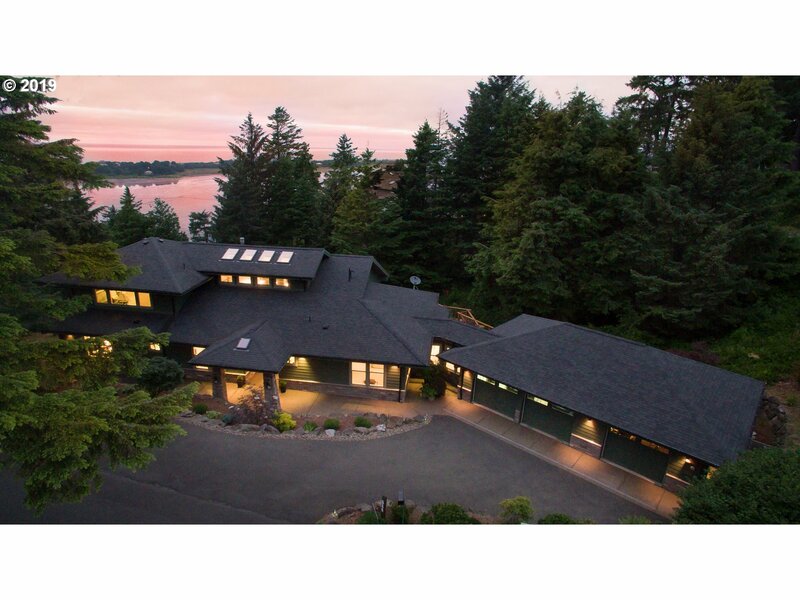 This spectacular custom home is perfectly situated right on the ever-changing Siletz Bay! Watch as the tide peacefully comes & goes and wildlife abounds! Home features 2 main level master suites & two additional bedrooms upstairs (no closets). Massive vaulted ceilings, walls of windows, an open kitchen/dining/living room concept, gas fireplaces, laundry room, greenhouse and more! Seller holds an active OR RE license." "One of Salishan's most innovative designed homes! 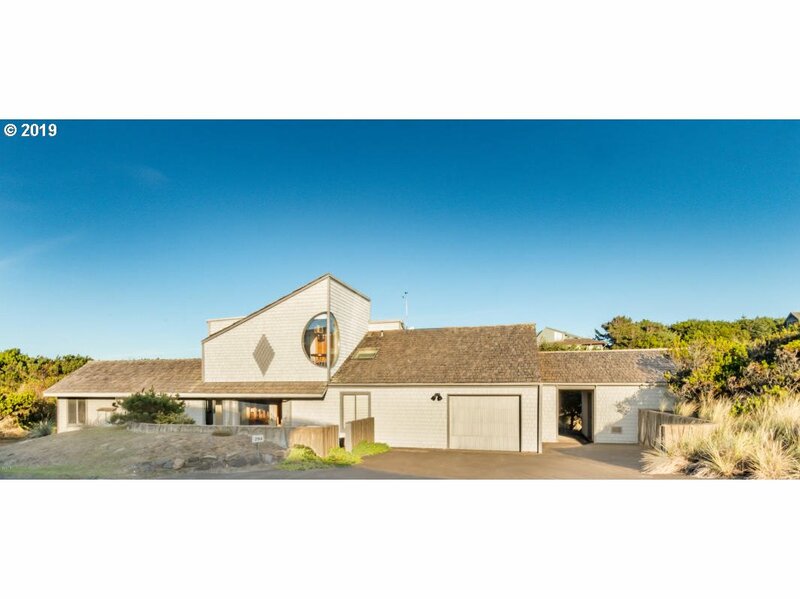 Located at the end of the spit, this ocean front features a unique pole interior, with large rock fire place as focal point, beautiful vaulted wood ceilings and central court yard. A unique lodge retreat whic allows for solitude as well as group gatherings with 3 octagonal bedroom suites grouped in a circle around the courtyard. Resawn cedar interior & exterior, resawn hemlock ceilings,"
"ULTIMATE IN OCEAN FRONT LIVING Epic ocean views, solid construction & coveted upgrades w/meticulous attention to detail. Distinctively sited for pounding surf, spouting whales & magical sunsets. Dramatic open design: Designer kitchen w/island, main lvl & garden lvl ocean view master suites. 2 Gas fireplaces, granite, hardwoods etc. Tiled roof, EZ beachy landscape, gorgeous decks/patio, firepit, rip/rap bank. Beach access around corner"
"GORGEOUS newer ocean front home in Coronado Shores w/spacious open floor plan & ocean views from most rooms. Rip-rapped bank, walls of view windows, wrap around ocean front deck concrete tile roof, spacious kitchen w/adjacent utility and TONS of storage. Main level master, 2 guest bedrooms, 2.5 baths, newer carpet I&I furnishings available. 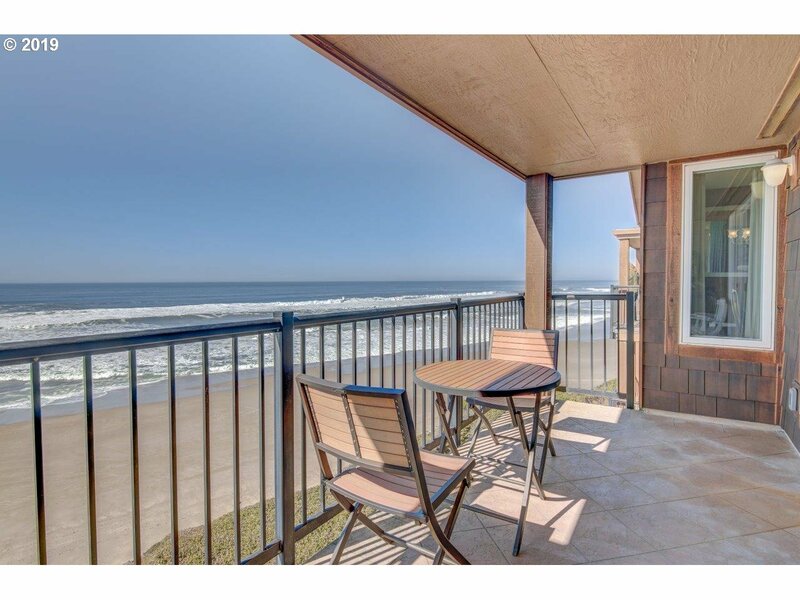 Coronado Shores amenities incl pool, clubhouse, oceanfront cabana & more!" 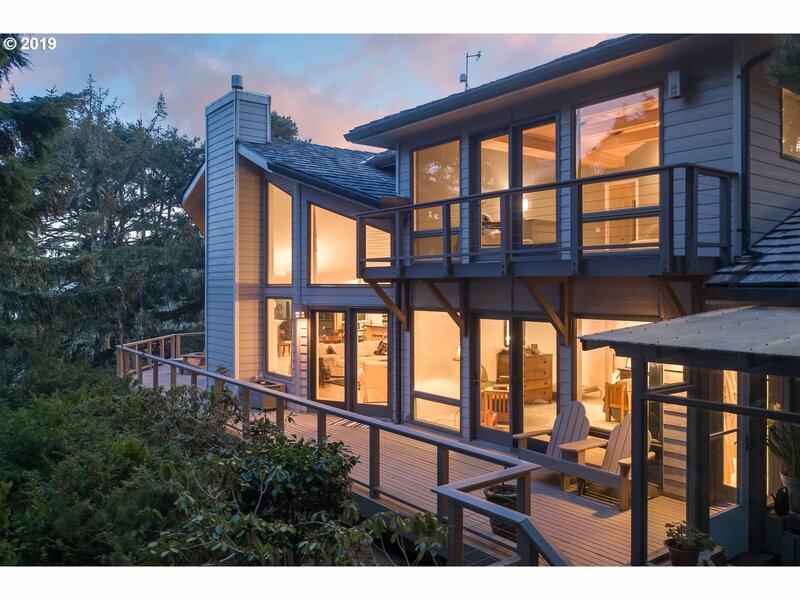 "Panoramic ocean, bay and river views including Salishan spit from this contemporary home in Salishan Hills. Vaulted ceilings, large fireplace, sunroom and master suite on main level, lower level has family room, guest bedrooms, guest bathroom & ample storage. Large decks, easy care landscaping & attached garage. One of the best views on the Oregon Coast." 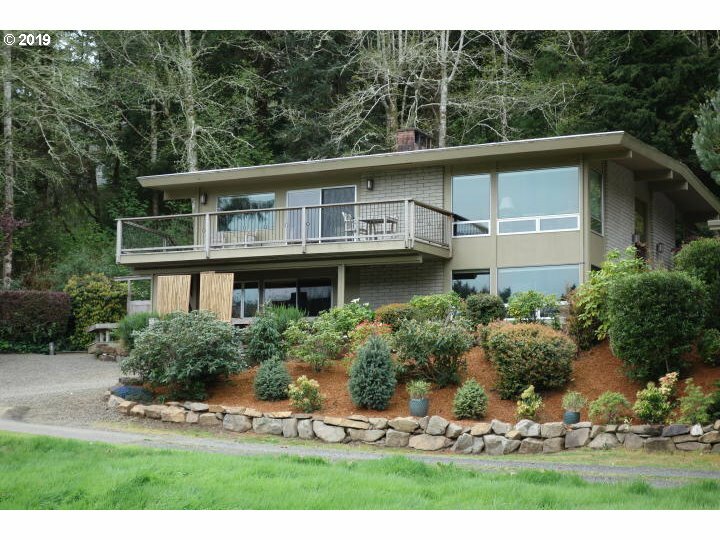 "Casually elegant Salishan home with golf course frontage and bay view. Pacific NW style meets Mid-Century Modern in this refined home completely remodeled in 2006. Hardwood floors throughout, radiant heat, sunroom. Rock terraced gardens with mature, native plantings. 2 living areas make for a variety of uses. Adj. lot also for sale, MLS# 17-479, 11 Alder Lane must sell with or before the lot." "Impeccably updated, 2018 Salishan Hills gated community ocean & forest view home. 3 bedrooms & 2 bath residence boast many designer finishes. This open floor plan flows through 27 feet of glass, French doors, creating a bright and welcoming living space. A cooks delight in your 3 ovens gourmet kitchen sporting Miele,Subzero and Jenn-Air appliances. Relaxing master suite, with walk in closet, fireplace and a sitting room to unwind." 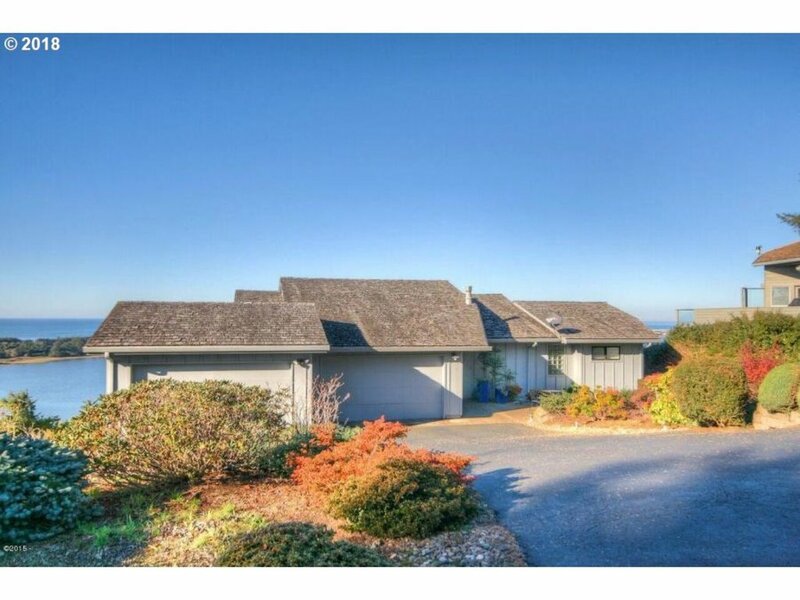 "Classic Salishan home across from ocean front located on the lagoon in a private setting. Unique architecture with curved window, artist stone landscaping and large deck. Interior features beautiful vaulted wood ceilings, tile floors and large master suite. Guest bedrooms + a large office/den. Lots of built ins, wood burning stove, attached garage and separate shop. Furnished and ready to go!" "Golf course front home with two master suites in 1,638 SF of living space, double car garage and large covered deck. Vaulted ceilings, updated kitchen with hard surface counter tops and wood burning fireplace. Community features private beach access, seasonal outdoor swimming pool, sport and tennis courts and clubhouse as well as gated security. Close to dining, shopping, Salishan Day Spa and so much more!" 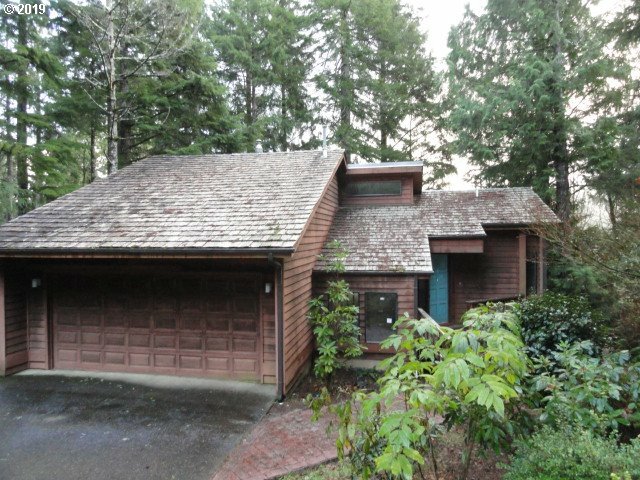 "Spacious one owner home in the tranquil woods of Salishan Hills provides privacy and security. Expansive living room is largeenough for grand entertaining. Savvy buyers can update this home that has been lightly used. Amenities include an elevator, a gas fireplace and a wood stove, oak floors, large kitchen with two refrigerators, two stoves and a big pantry, tons of storage, sun room, and more space to finish in basement." 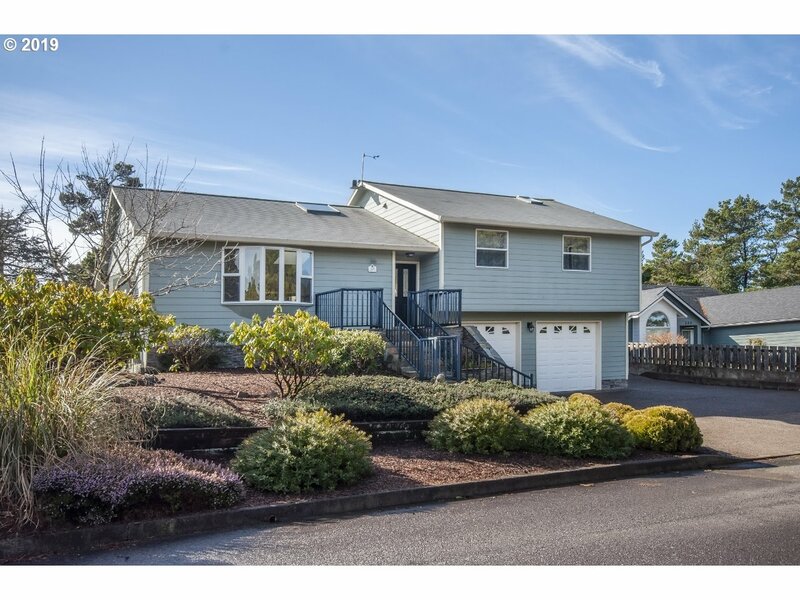 "Enjoy the quiet privacy & forest views of Salishan in this newly remodeled 3 bdrm., 3 bath, 2 car garage home. Completely remodeled from the doors in, home features a brand new kitchen with new cabinetry, granite counters, new flooring & new stainless steel appliances. Bathrooms have been remodeled to include flooring, fixtures & granite counters. One of the owners is an Oregon licensed realtor." "Perfect home for the laidback coastal lifestyle. Open layout + multiple skylights splashing light. Vaulted great room w/fireplace + big garden level family/games room. Master ensuite w/spa tub, custom designed walk in closet/dressing area + den. Living spaces lead to expansive flagstone & paver patios both open for sun & covered for shade. Priv fenced yard is magical with its footbridge & water feature. Beach access is a mere 2 blocks." 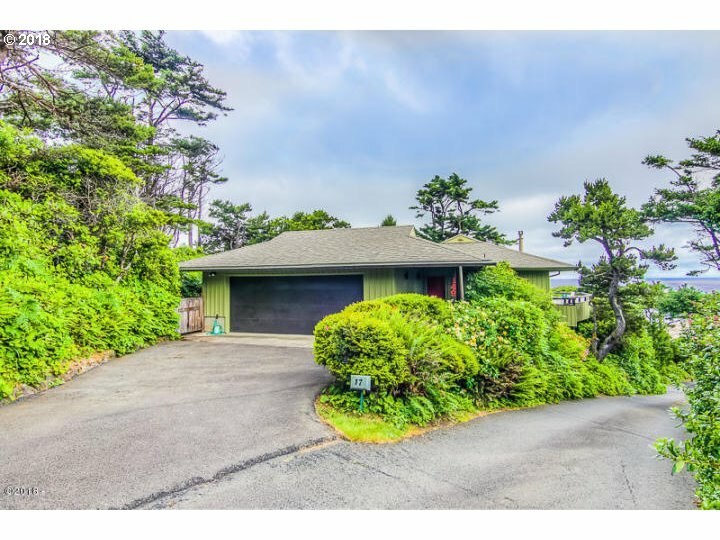 "Perfect location on the west side of Salishan with peek of ocean. Interior features a remodeled kitchen with granite counter tops and hardwood floors, new bathrooms, beautiful fireplace in living room and single small garage plus carport. Classic shingle exterior, sunny deck off living area and private secluded location. Beach access nearby. Salishan is a gated community with nature trails, tennis court and seasonal pool." "Cavalier 2bd/2ba oceanfront condo sold furnished. The only condo in the complex available. These condo are rarely for sale. Highly desirable location in Gleneden Beach! Cavalier amenities include a beautiful indoor pool, club house with pool table and cooking facilities for parties, a sauna, and covered barbecue area with grills. This unit enjoys a carport plus secured storage area. These condos can be vacation rented through office." "Beach house w/ new carpet/flooring/paint and appliances located just 1 block to beach access. Light sunny interior with vaulted wood ceilings, gas fireplace, lower bedroom has exterior door, large corner lot with attached single garage and 792 sq. ft. separate shop/with 2 garage doors. This is a great value in the Gleneden Beach area, close to Salishan Resort and shopping." 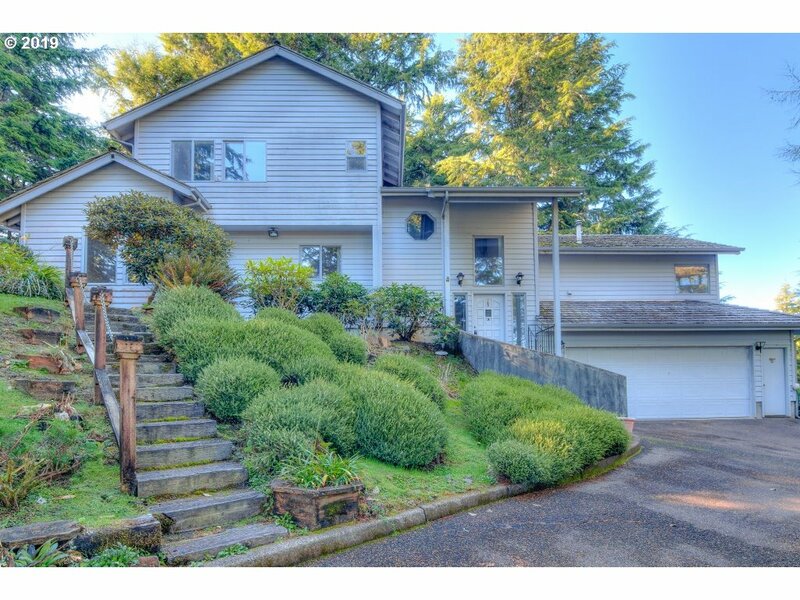 "Main level living in this Salishan home that is Pacific NW in style, rendered as a condo. Upgrades in the LR, DR, and Kitchen include hardwood floors, granite counter tops & custom cabinetry, and vinyl windows throughout the home. Most recently; a new garage door and new tile floor in the 2nd & 3rd baths. Galleria entryway, private patio courtyard, and a double garage make this a comfortable home." "Gated and very secure community with golf course and ocean access, this home has a wooded setting overlooking a golf course fairway below. The house features large open kitchen, high vaulted ceilings in living room, an upstairs bonus loft, and room for everyone. House will need updating and repairs to bring it up to spec. Property is being sold As is."